In a recent Tennessee Court of Appeals decision, Luker v. Luker, M2018-00138-COA-R3-CV (Tenn. Ct. App.2018), the Court addressed whether a respondent in an Order of Protection case had a right to conduct discovery in order to prepare for the hearing. The typical Order of Protection case is set for a hearing within fifteen (15) days of the respondent being served. Once served, typically an ex parte order of protection is issued, which many believed was intended to protect the petitioner from harm. In Luker, the Court of Appeals stated, much differently, that the requirement of a hearing within 15 days was intended to protect the respondent from frivolous ex parte orders of protection and not intended for the protection of the petitioner. The Court also stated that it saw no barrier to a respondent requesting that the hearing be put for a definite period of time in order to request reasonable discovery as long as the ex parte order remained in place. The catch in the Court’s opinion is that discovery would be granted at the trial court’s discretion, meaning that the ability to conduct discovery in an order of protection case would be decided on a case-by-case and court-by-court basis. This opinion is extremely important because of the nature of order of protection cases. Respondent’s get served with an order and have a court date set in a matter of days. The petitions for an order of protection are also notoriously vague and tend not to provide dates of incidents or name potential witnesses. Discovery in such cases allows a respondent to request more detailed information in the allegations so that they may properly develop a defense to each specific claim. 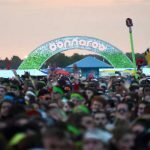 With Bonnaroo 2018 in Manchester, Coffee County, Tennessee, just around the corner, it is important to keep in mind the heavy law enforcement presence that will be at the event and on the surrounding highways and interstate. There has been a nationwide boom in the popularity of marijuana concentrates or extracts in the past several years. Whether it is the ease of use, perceived health benefits, or increased potency, marijuana concentrates have increased their foothold in the marijuana market. 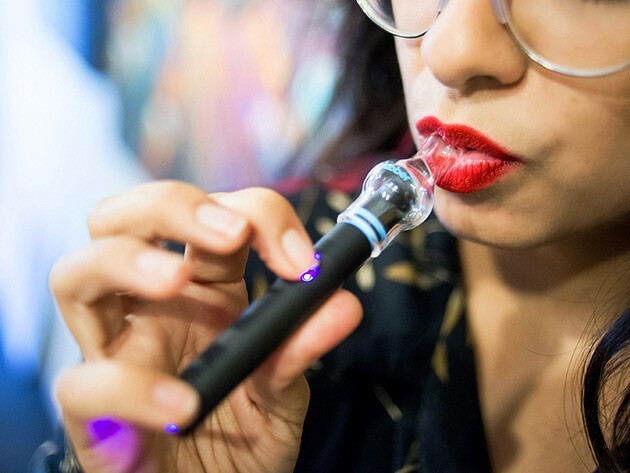 Often times these marijuana concentrates are consumed in electric pens that look and smell similar to the devices used to consume tobacco oils and waxes. This has caused problems for law enforcement in the states where marijuana and marijuana concentrates remain illegal due to how discreetly these products can be carried and consumed. This also makes these products the top choice for people attending the Bonnaroo Music Festival. Marijuana concentrates and extracts go by a variety of names such as oil, wax, live resin, honey oil, shatter, press, or dabs. Regardless of the difference in the product of nomenclature, marijuana concentrates include any product produced by the extraction of THC from marijuana. Concentrates remain categorized under T.C.A. 39-17-415 – Schedule VI – under the general category Marijuana or Tetrahyrdocannibanols (THC). Based on my experience, if a citizen possesses a very small amount of marijuana concentrates or a pen with marijuana oil or wax they are usually charged under T.C.A 39-17-418 – Simple Possession/Casual Exchange – Class A Misdemeanor, and face up to 11 months and 29 days in jail, with a maximum fine of $2,500.00. In a recent case in Nashville, Leroy Myers was charged with aggravated assault after he allegedly shot a gun in the direction of a Metro Codes employee visiting his home. Following a bench trial, the trial court found Leroy Myers not guilty of the charged offense, aggravated assault, but guilty of reckless endangerment with a deadly weapon. The trial court ruled that based on defense counsel’s argument and submissions to the court that the defendant effectively amended the indictment to include reckless endangerment. On appeal, Myers asserted that reckless endangerment is not a lesser-included offense of aggravated assault under the facts of the case and that there was not an implicit amendment to the indictment to include reckless endangerment. The Tennessee Court of Criminal Appeals affirmed the judgment of the trial court. State v. Myers, No. M2015–01855–CCA–R3–CD, 2016 WL 6560014 (Tenn. Crim. App. November 4, 2016). In this case, defense counsel through his comments, submissions of case law, and argument to the court raised the issue of whether the defendant’s actions could be a lesser included offense like reckless endangerment. When the court stated it would take the matter under advisement to consider lesser included offenses like reckless endangerment, defense counsel made no objection. In furtherance of defense counsel’s argument and for the court’s consideration of lesser-included offenses, defense counsel submitted two cases for the court to consider. Both of these were reckless endangerment cases. State v. Payne, 7 S.W.3d 25 (Tenn. 1999); State v. Shaw, W2010–00201–CCA–R3–CD (Tenn. Ct. Crim. App. June 1, 2011). Based upon those facts, the trial court found an effective amendment to the indictment because the defendant actively sought to place it before the court on the uncharged offense, reckless endangerment. The trial court stated and the appellate court reiterated that the defendant cannot complain about convictions for an offense which, without his own counsel’s intervention, would not have been considered by the Court. In addition, the appellate record was incomplete and the appellate court presumed the trial court’s findings were correct. Aside from very limited exceptions enumerated within the post-conviction statute and discussed below, a person in custody under a sentence of a court of this state (Tennessee) must petition for post-conviction relief under this part within one (1) year of the date of the final action of the highest state appellate court to which an appeal is taken or, if no appeal is taken, within one (1) year of the date on which the judgment became final, or consideration of the petition shall be barred. The statute of limitations shall not be tolled for any reason, including any tolling or saving provision otherwise available at law or equity. Time is of the essence of the right to file a petition for post-conviction relief or motion to reopen established by this chapter, and the one-year limitations period is an element of the right to file the action and is a condition upon its exercise. Tenn. Code Ann. 40-30-102(a). Metro Nashville Police Chief Steve Anderson recently proposed a $50.1 million plan to purchase body cameras for all 1,440 of the city’s police officers and to install new dash cameras on 880 department vehicles. Although Mayor Barry has been a staunch supporter of body cameras, she raised concerns at the hearing on March 16, 2017. Her concerns were centered on the cost of this proposal in light of similar programs implemented in other states that were far less costly. Despite Mayor Barry’s concerns, Chief Anderson appears to be of the mindset that if the department is going to do it, it better be done right, and the cameras must be working at all times in order to insure public confidence. Police body cameras, which provide video footage of arrests and encounters between police and civilians, are considered one way to reduce the potential for police misconduct. These cameras could also aid persons who are criminally charged in presenting a defense in addition to rebutting an officer’s testimony. On the flip side, the State could benefit from the video footage if it is relevant to the case and use it against the defendant at trial. For example, in a driving under the influence (DUI) case, the reason why the driver was stopped often becomes an issue. Common reasons for a traffic stop include following too closely, swerving over a traffic line, failure to come to a complete stop at a stop sign or running a red light. These “stop” issues, which fall under the probable cause standard, could be simplified by the video footage. In addition, incidents involving police officers using force or a citizen resisting arrest could also be clarified by video that will be preserved under this proposed plan. To date, this proposed plan and its funding is essentially a work in progress, and we will keep you apprised of its progress and implementation. When and if the body and vehicle camera program is implemented, it will be a game changer in future criminal cases. I recently had a conversation with a local trial judge in Middle Tennessee. He spoke candidly when he admitted that his greatest worry when he took the bench was ruling on objections quickly and thoughtfully. A veteran judge advised him not to worry. He said that even if you rule in error, convictions rarely, if ever, get overturned based on evidentiary objections and the error is almost always harmless. Errors in the admission of evidence are subject to harmless error analysis meaning that a final judgment from which relief is available and otherwise appropriate shall not be set aside unless, considering the whole record, error involving a substantial right more probably than not affected the judgment or would result in prejudice to the judicial process. Tenn. R. App. P. 36(b). The veteran judge’s statement was generally true, but was it true in all cases? A recent Tennessee case affirmatively answered that question in the negative. In State of Tennessee v. Timothy Bishop, No. M2015-00314-CCA-R3-CD , 2016 WL 7324307 (Tenn. Crim. App. Dec. 16, 2016), Timothy Bishop was convicted at trial of two counts of child abuse, a Class D Felony. In this matter, the Court of Criminal Appeals of Tennessee ruled that the trial court erred in admitting, under the excited utterance exception to the rule against hearsay, the victim’s statements at school that the defendant was responsible for his bruises. The appellate court stated that not only did the trial court err admitting the hearsay statements but the error was not harmless. Since the only direct evidence at trial that the defendant hit the alleged victim came from the statements that were improperly admitted as excited utterances, the convictions were reversed and a new trial was granted. The moral of the story is that evidentiary objections are crucial in the trial of your case and must be made at the proper times during trial to preserve the record on appeal and to insure a fair trial. It is important to hire a trial lawyer with experience and knowledge of evidentiary rules to fight for you. Several pieces of legislation will be discussed before the Tennessee Legislature this week that aim to lessen restrictions on gun ownership, and would allow handgun carry permit holders to carry almost anywhere in the state. The legislation would allow handgun carry permit holders to have their gun anywhere in the state, on a boat if it is not loaded and in a school if the principal is informed. Another bill sponsored by Rep. Tilman Goins, R-Morristown, would allow people with restraining orders to carry guns if they have a valid carry permit. Another bill pertaining to gun rights filed by Rep. Andy Holt, R-Dresden, would give criminal and civil immunity to people who use a handgun in self-defense, defending another person, or defending a victim of a crime in progress. If you have been convicted of a crime and your appeal has been denied, the fight is not over. At trial and on appeal, you have the right to effective assistance of counsel in your case. A denial of the Sixth Amendment right to the effective assistance of counsel is simultaneously a denial of the right to be heard by counsel, as provided under Article 1, section 9 of the Constitution of Tennessee. Baxter v. Rose, 523 S.W.2d. 930(Tenn. 1975). Tennessee provides an avenue for relief within Tennessee Code Annotated section 40-30-101 et. seq. If you are victorious, your conviction could be set aside and a new trial granted. In a post-conviction relief proceeding when the effectiveness and competency of one’s counsel is challenged, the petitioner must show that his counsel’s work was not “within the range of competence demanded of attorney’s in criminal cases,” Baxter v. Rose, 523 S.W.2d. 930, at 936 (Tenn. 1975); Tidwell v. State, 922 S.W.2d. 497, at 500 (Tenn. 1996), and that his case was prejudiced as a result of counsel’s ineffectiveness. Strickland v. Washington, 466 U.S. 668, 687-697, 104 S.Ct. 2052, 2064-2069, 80 L. Ed. 2d. 674 (1984). In Tennessee, if you are found to be in possession of over ½ ounce (14.175 grams) of marijuana you will most likely be charged with violating TCA 39-17-417, Possession of a Schedule VI with Intent to Manufacture, Deliver or Sell, a Class E Felony, which carries 1-6 years in prison. However, you may not be guilty of this crime, a felony, despite the weight of the marijuana being greater than 14.175 grams. 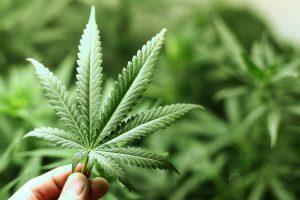 The reason is that in Tennessee the amount of marijuana is not the only factor for the jury to consider when determining if you are guilty of a felony for possessing marijuana with the intent to manufacture, deliver or sell the marijuana. Tennessee Code Annotated 39-17-419 states that it may be inferred from the amount of a marijuana possessed by an offender, along with other relevant facts surrounding the arrest, that the marijuana was possessed with the purpose of selling or otherwise dispensing. The statute goes on to say that it may be inferred from circumstances indicating a casual exchange among individuals of a small amount of marijuana so exchanged was possessed not with the purpose of selling. In State of Tennessee v. John Belew, 348 S.W.3d 186 (Tenn. Crim. App. 2005), the Criminal Appeals Court concluded that this statute permits the jury to draw an inference of intent to sell or deliver when the amount of the controlled substance and other relevant facts surrounding the arrest are considered together. Therefore, the State of Tennessee must present some evidence of intent, in addition to the weight of the marijuana, to convict an individual in Tennessee. Many felony drug cases begin with a drug detective or police officer using techniques like confidential informants, wire-taps, GPS surveillance, or various other tactics to prove that an individual is in the business of selling the illegal drug – in this case marijuana. The government spends lots of resources, sometimes from their own task force pockets, to get the drug dealers off the street. In cases like these, the issue is typically not whether the marijuana involved was for personal use or for resale because the amounts are much greater than an amount typically possessed for personal consumption. Plus, the government usually has some type of proof to put before the jury relating to specific drug deals, exchanges, money laundering or other dealing activities, which would be the type of evidence needed to rebut the inference in T.C.A 39-17-419.